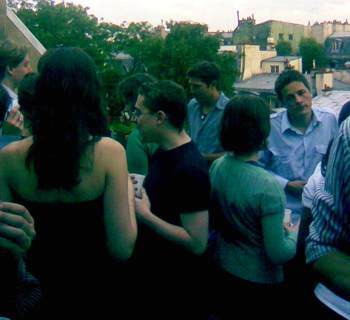 Zipping hither & thither, a rush of new business and Twittering has kept me from my real job -- posting pictures of BPR's famous Pont Parties and making snarky comments. 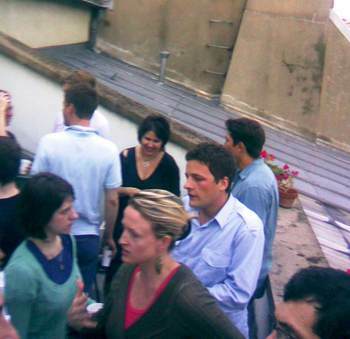 Here are a few from our last Pont Terrasse Party -- as it rained, we moved the enitre event to my not-very-spacious apartment and had a blast anyhow. Next Pont Party: July 11th.